Take one or more intensives with this powerhouse Casting Director who is flying in from LA for one weekend only at A Class Act NY, Manhattan’s award-winning acting studio for kids and teens! Extremely prolific, LA-based Casting Director, KRISHA BULLOCK is one of the most influential, award-winning casting directors in the industry today. She specializes in youth casting, from hit children’s television shows on kid-friendly networks to feature films and commercials. 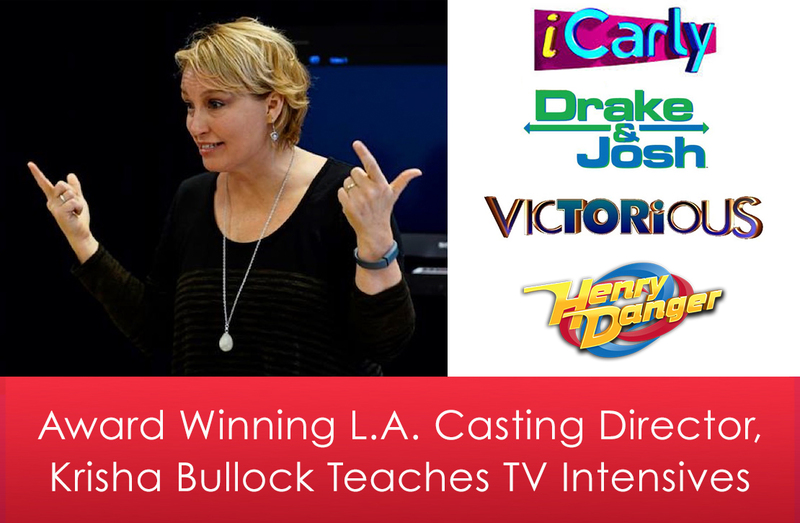 Krisha Bullock of Bullock & Snow Casting predominately casts for top kid and teen TV networks. Her impressive credits include HENRY DANGER, GAME SHAKERS, iCARLY, DRAKE AND JOSH, ZOEY 101, VICTORIOUS, TRUE JACKSON V.P., and more! Ms. Bullock is the current recipient of the Casting Society of America’s Artios Award for Excellence in Casting for her work on iCARLY and has been nominated for more than a dozen Artios Awards. Her industry accolades also include the prestigious Seymour Heller Award for Television Casting Director of the Year given by the Talent Manager’s Association. Outside of Casting, Krisha has mentored thousands of hopeful young people, helping them break into the industry. She has guided many up-and-coming actors such as the Oscar-nominated Hailee Steinfeld, who, to this very day, utilizes Krisha’s advice. We’re thrilled to bring Krisha Bullock back to NYC for a weekend of can’t miss television intensives! Gain invaluable insight into the audition process from one of castings most respected in-the-know professionals! The intensives will conclude with a Question and Answer Session that is open to students and their parents! Time: 2:00 p.m. – 5:30 p.m.
*This workshop is a learning experience. It is not an audition or employment opportunity. When the workshop is over, the casting director teaching this workshop will not be taking home nor be given access to your headshot, resume or any other of your promotional materials.